Less then one week to go until the release of the Farming Simulator 17 we bring once more news about the upcoming game and this time we will present the economy of the game. Red arrow – Price is going down. Green arrow – Price is going up. Blue – There is a great demand for this type. Unloading stations are competing with each other, so a station may detect a sudden need for a certain commodity. When that happens, a temporary demand peak starts. During demand peaks, the unloading station in question offers a significantly higher price than usual. You will receive a message as soon as peak demand starts, and you can look up all current demands in the Prices menu. Green – Price is very good at this location for now. Red – Price is very low at this location for now. Prices of all sellable items will change daily and it will be affected by the supply and demand factors. The player will be able to factor the prices by deciding how much of any items he want to sell. 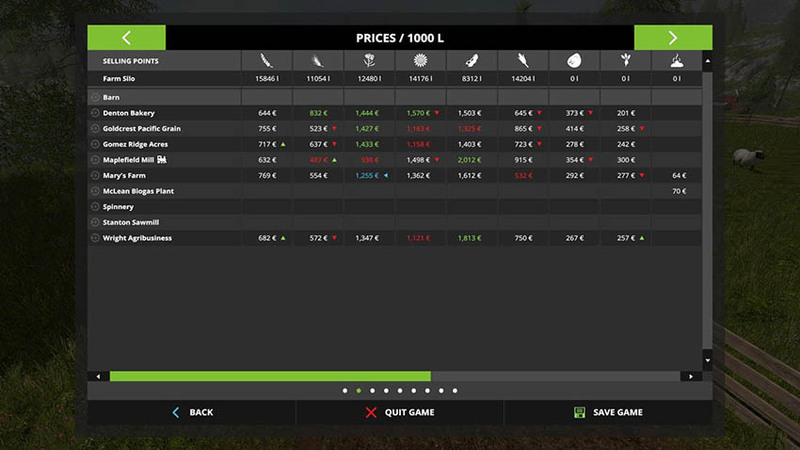 An example can be described, if a player will sell only wheat for few days in a row, the demand will decrease and that will lead to decrease of the price as well. On the other hand, the prices for items that you will sell rarely will increase. Furthermore, almost all what you will produce you can sell on the points below. Of course there are some twists like, wool can only be sold in the spinnery. Also, wood can be sold directly at the Stanton Sawmill. 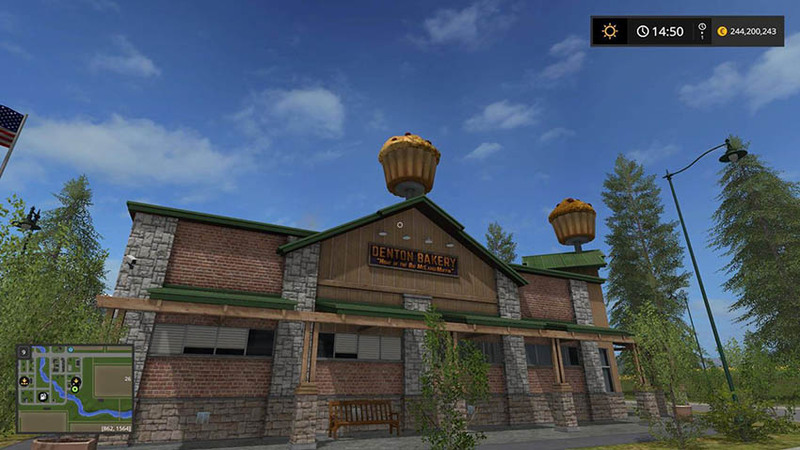 In the prices menu, to make it more simple, a beacon can be set on all selling points, and it will help to find the specific locations much faster. One of more interesting features and ways to benefit is not only to sell what animals will produce, but also to sell animals themselves. Of course in this mission you will need to take care of your animals by feeding them, giving water and changing bedding with straw blower and when the animals will be happy they will reproduce and make new baby animals. Farming Simulator 17 also brought vehicle aging what will be affect by time. And that means that each day you will be forced to pay for maintenance to keep your vehicles in top shape. That is also a thing to take into mind that after some time it can be more beneficial to buy new tractors or other machinery instead of keeping the old ones. In the start of the game, you will have at your disposal few tractors and tools with different age zone. Computer will control all the fields that are on your map but that you have not bought. You will be able to take care of other fields by assisting computer farmers. You can to that by activating the symbol in the field and you will get a job. On top of that you will be given specific tools to complete the task. It is important that every time when you finish the job you will improve the relationship with the farmer. That is a key factor because the more you work for other farmers the more they will be happy and that will lead to decrease of the field price for you to buy. On the map you will be able to place bee houses, solar panels and wind energy converters and use it as a source of regular income. Greenhouses let you produce tomatoes or lettuce. In order to make money from them, you’ll need to fill the water tank on the side of each greenhouse using a water trailer. Do you know there is a water fill point near plot 27?